I was playing with this, and a few people like it. So I am banging it here so I can link to it from things other than Twatter/Instagram. People have since asked for Fallout 3 and 4 maps. Here is a YouTube walkthrough of it (sped up). 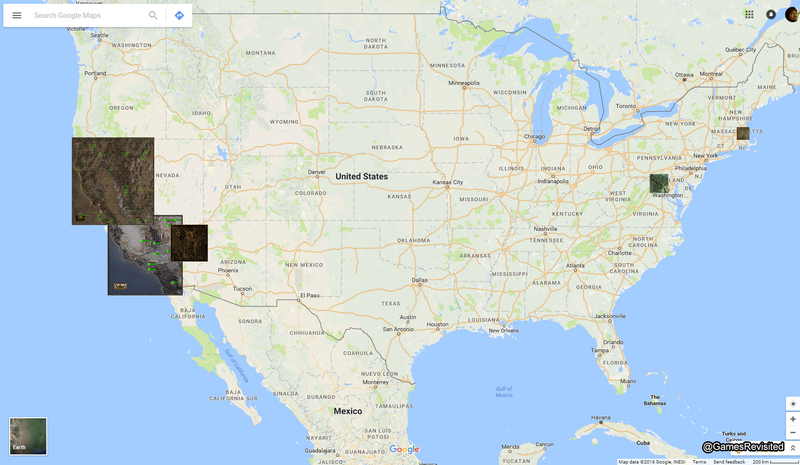 Maps of Fallout 1, Fallout 2, and Fallout: New Vegas overlapped. If you stretch Fallout 2 to the east the topography lines up slightly better for the mountain range. Vault 13 and 15, along with Shady Sands/NCR do not line up, so have been moved between games. I like the jaunty angle! 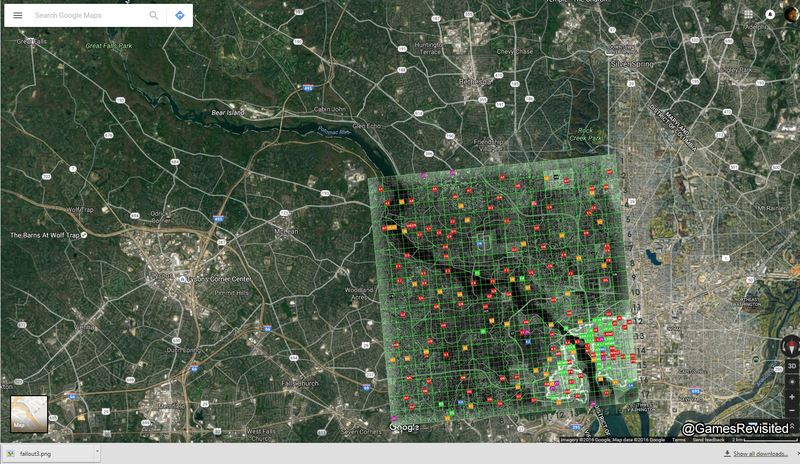 I have used the Potomac river as the reference point. The river doesn’t follow absolutely correctly, but it has dried due to a nuclear war. The White House is in the correct place too. So I am happy with that map. 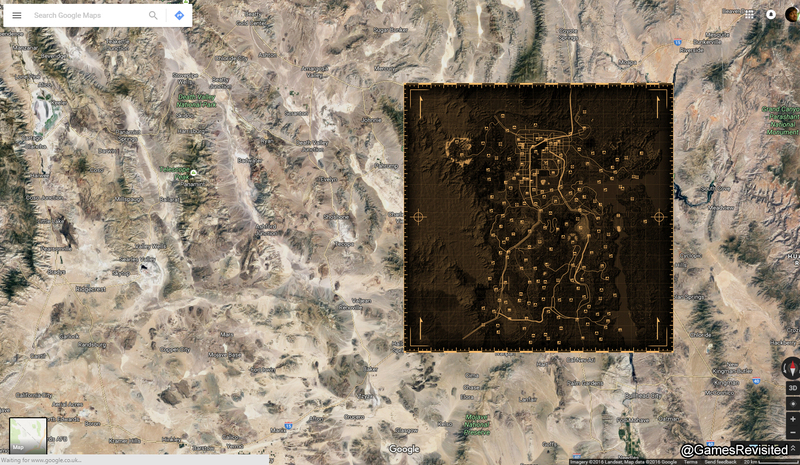 This map lines up very well, the primary reference point is the Colorado river and the I15. These line up almost perfectly. As yet I have not played the game, or done any reading on the matter. As a result, I don’t know the lore, or any reasoning behind it. But… The maps do not align very well. I can align Manahat, and the rivers. The rest are way off. I have used the junction of the Charles and Mystic River as my primary reference point. 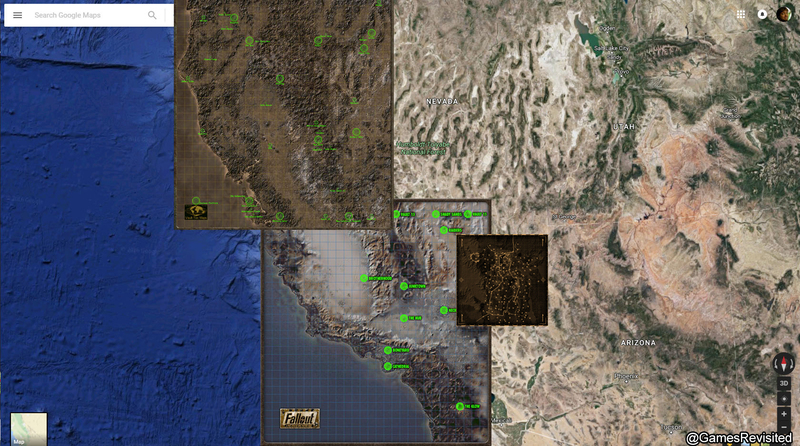 To give you an idea of scale, this is around 8 squares around the Cathedral in Fallout 1, or purely the sections immediately surrounding New Vegas City. 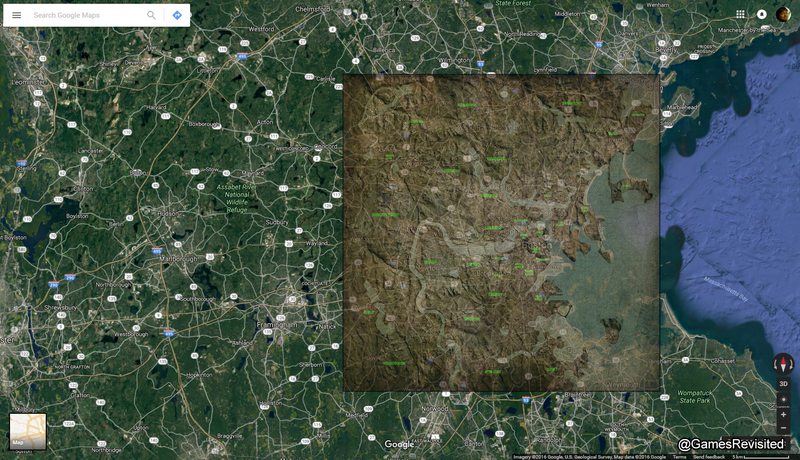 Here is the map with transparency, so you can see the coastline. So, slight disclaimer… Zooming so far out removes any details I can align too. But by eye, this is ROUGHLY how they compare. I am surprised how large New Vegas/Mojave desert geographical coverage are compared to 3 and 4. Looking at the map, I wants to see south of New Vegas. I’m playing NV for first time and am loving the direct connection to 1 and 2. Cass is the daughter of Cassidy from 2. Marcus the Sheriff is now in Jacobstown, and they all talk about the stuff you did/do in 2. For real! NCR is BADASS! 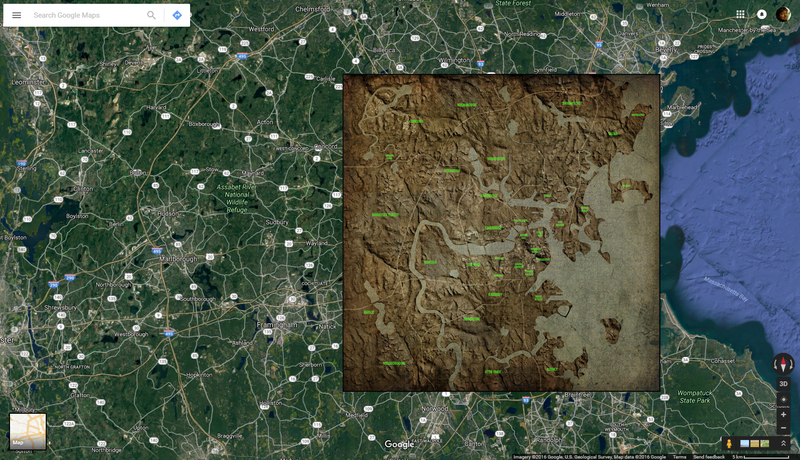 Concord is in the Fallout 4 world and you have the location sitting outside of the overlay. Major gaff. Not really, the map doesn’t fit. Bethesda rescaled the map so that it was square. They then moved locations to fit their map. They have done that in all the maps.